At Summer Dental in Las Vegas, our passion is helping patients achieve and maintain a healthy and beautiful smile. The standards of our dentists ensure the ultimate in patient satisfaction. Because each man, woman, and child has singular dental needs, we develop personalized treatment plans that addresses each patient’s challenges and goals. Some dentistry patients come in twice-yearly for an examination, cleaning, oral cancer screening, and fluoride treatment. We work with them to maintain their oral health and prevent common dental issues such as tooth decay and gum disease. Many smile makeover patients take advantage of modern cosmetic dental procedures to achieve the smile they deserve. 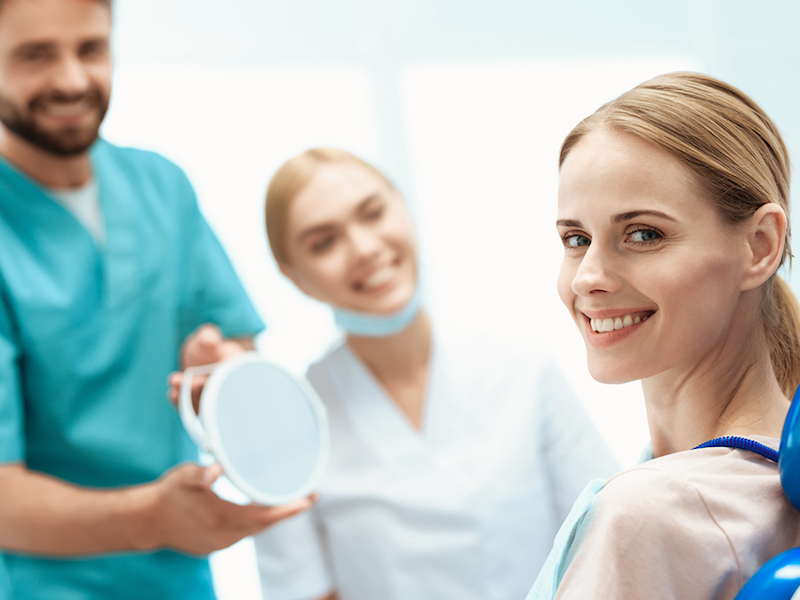 Summer Dental offers a broad range of cosmetic dental procedures including dental bonding, porcelain veneers, dental crowns, teeth whitening and tooth-colored filling replacement. We also offer sedation dentistry for those who become nervous during dental treatment. You can take comfort in the fact that we are dedicated to the highest standard of safety and sterility at our practice. Summer Dental in Las Vegas provides general and cosmetic dentistry, with evening and weekend hours for your convenience. Schedule your next checkup with us today.